Quick update for our trip. Started our journey this morning. Driving 7 hours today and tomorrow and a little over 4 Friday morning. We’re halfway through the first day and things are going good. It’s been raining most of the time but we are pushing though. 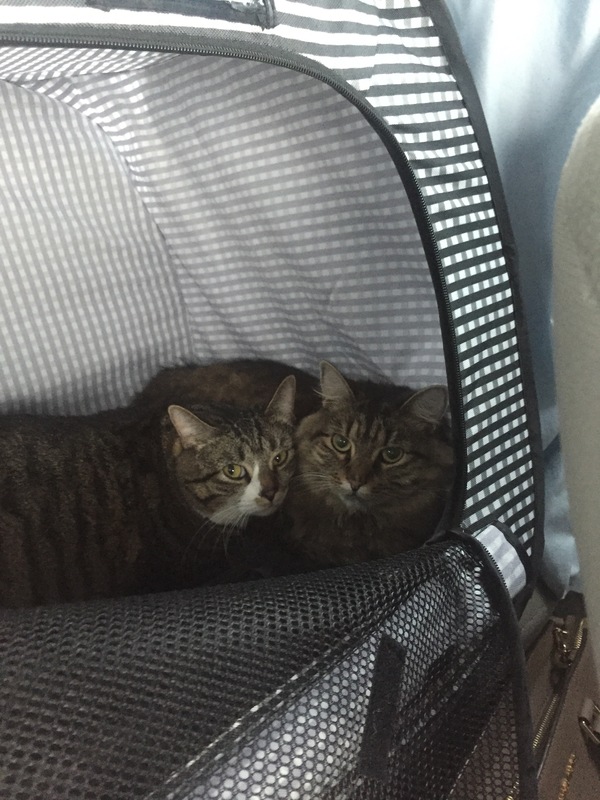 The cats who typically aren’t BFFS, have cuddled together to handle the drive/storm. 15 hours to go! Previous Post Its getting real.